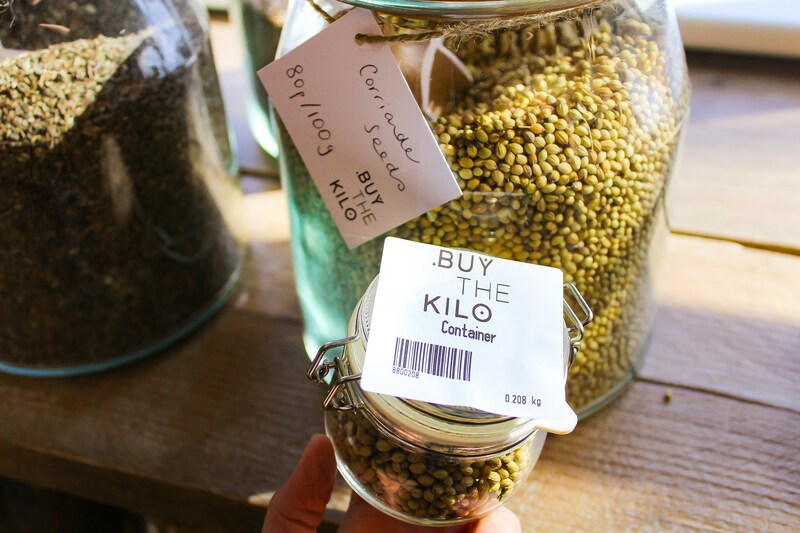 'Buy the Kilo' - A revolutionary Zero Waste Food Shop! 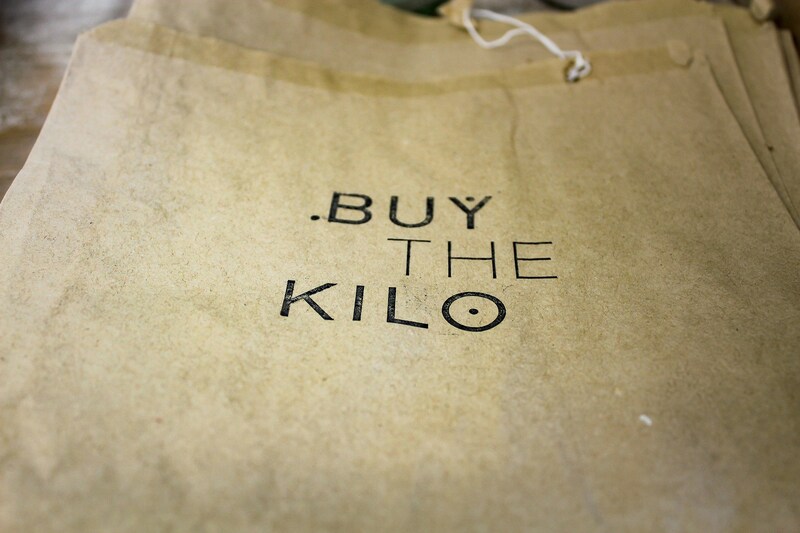 Buy the Kilo was a really pleasant surprise, and a great way to start my Saturday morning. 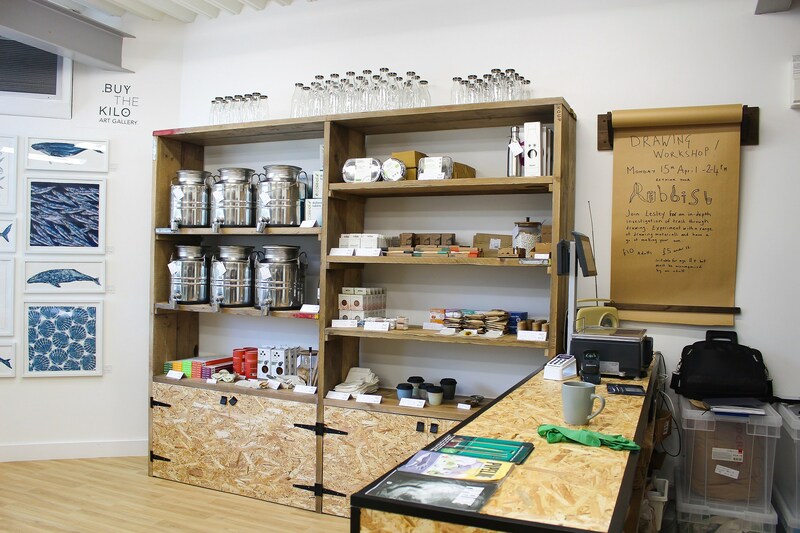 This revolutionary shop in Tynemouth had been mentioned to me before, but it wasn't until I read an article on Living North magazine that I knew it was time to pay this pioneering, cutting-edge shop a visit. 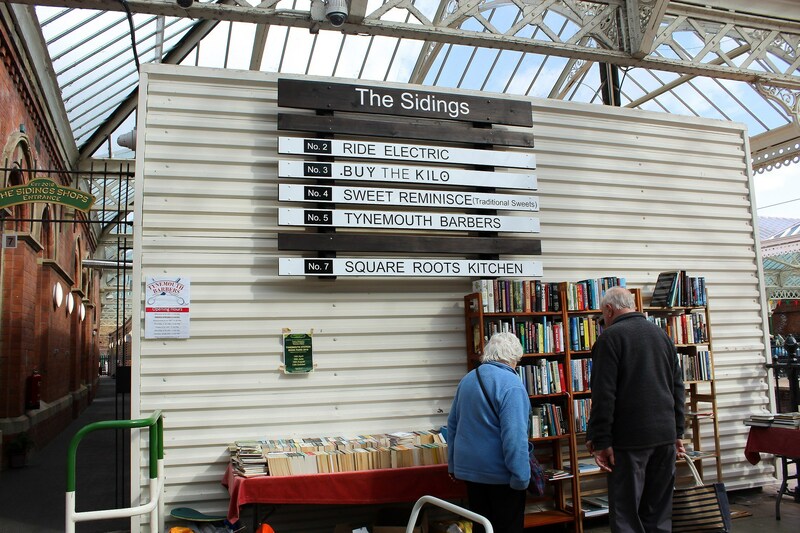 Located at No.3, The Sidings, at Tynemouth Metro Station, North Shields, this shop sells everything from pasta to rice, cleaning products, houseware products and lots of different seeds, customers can buy however much or however little they want. 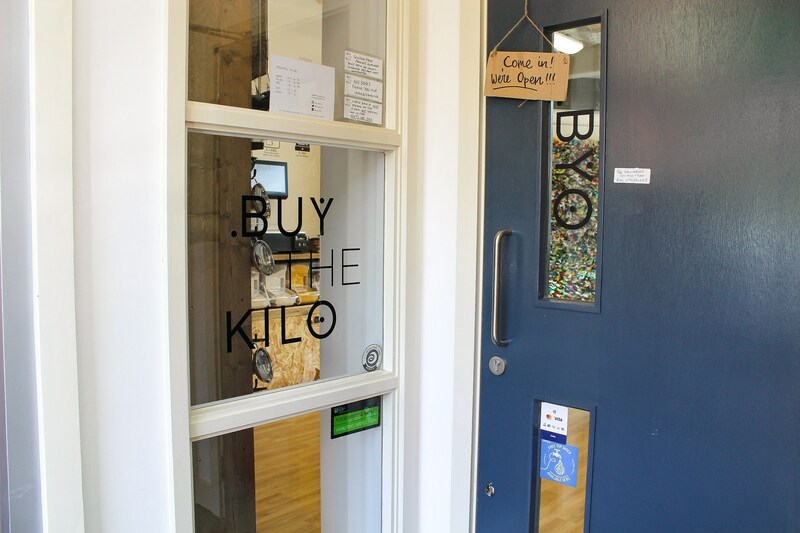 Buy the Kilo is run by mother and daughter, Jackie Sewell and Rachel Brien, and it gives customers a whole new shopping experience. 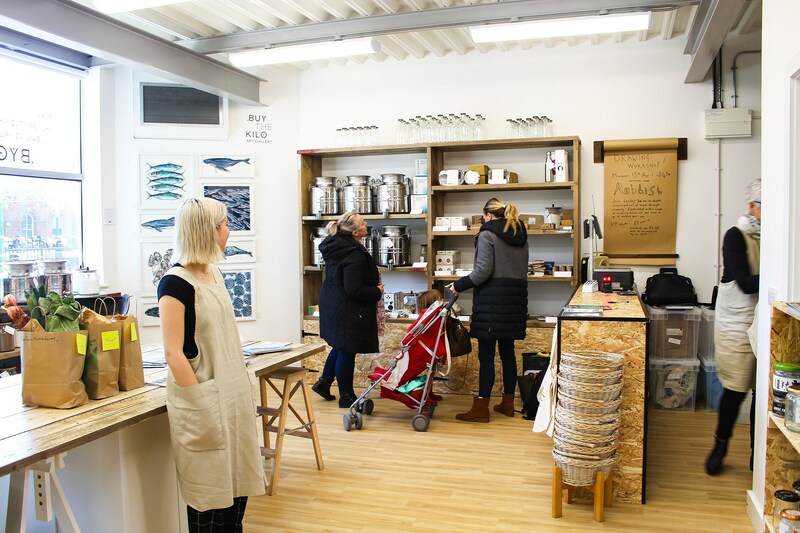 This adorable shop has a clear vision and focus on eradicating plastics from our shopping experience, through encouraging customers to bring their own containers and use paper bags instead. I didn't know what to expect, but when I walked through the door I was pleasantly surprised with the vibe of the shop. 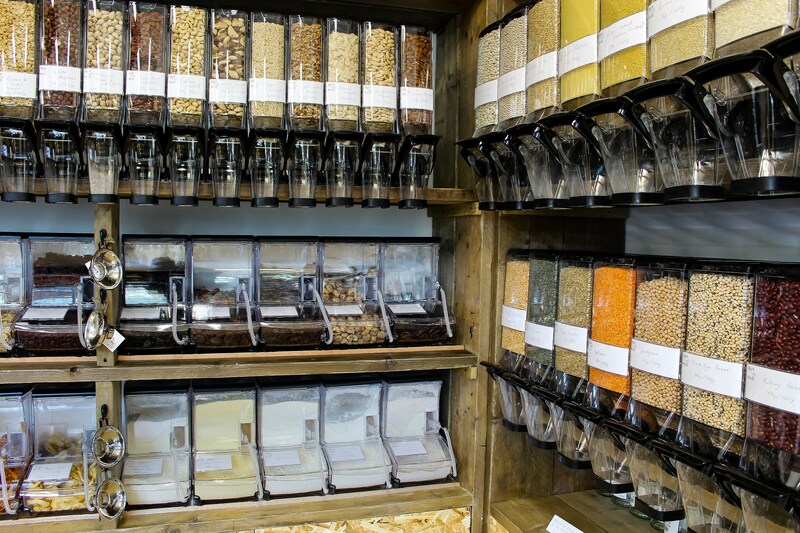 A big table in the middle of the shop, dispensers all around the walls with all sorts of herbs, spices, nuts and seeds to the left and back walls, and cleaning products and household items to the right. 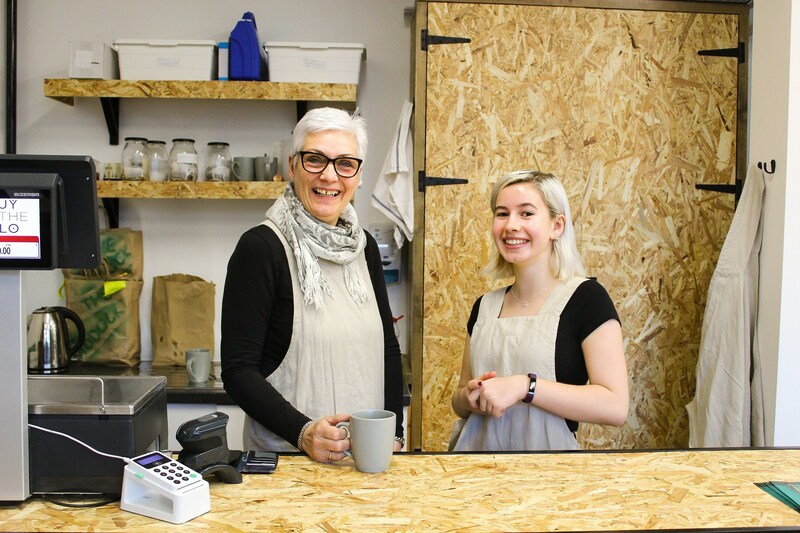 The shop was still quiet when I arrived, which allowed me to introduce myself and also allowed for a little chat with owner Jackie and Katherine, who was helping out with the store. Soon, more customers arrived, and I fell in love with the sense of community and eco-vibes I was getting from this place. 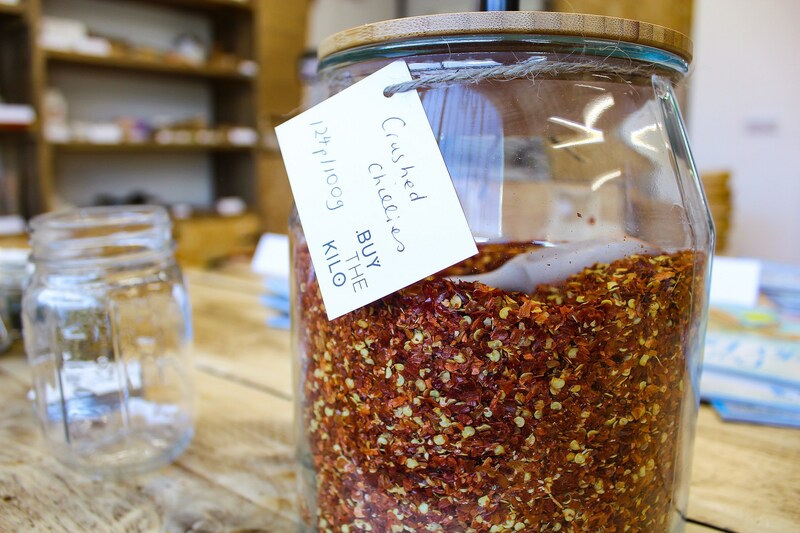 After I introduced myself, owner Jackie gave me permission to take some photographs of the shop, and soon I was getting my own glass containers out of the bag and filling them with gorgeous whole-foods, spices and more! There was so much to choose from! 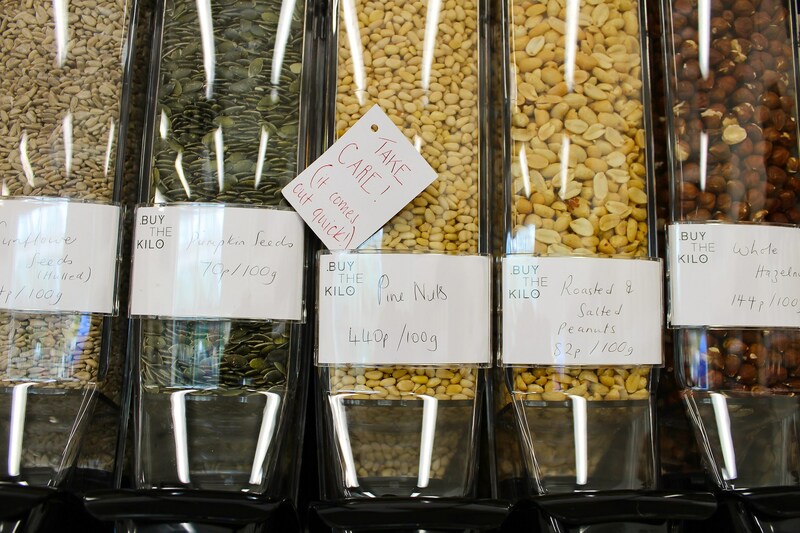 Pine nuts, peanuts, hazelnuts, sunflower seeds, pumpkin seeds, corn, beans, lentils, and they had a huge range of spices and seeds: star anise, coriander seeds, mustard seeds, turmeric, dried chives, fennel seeds, crushed chillies, celery salt...you name it, they have it! 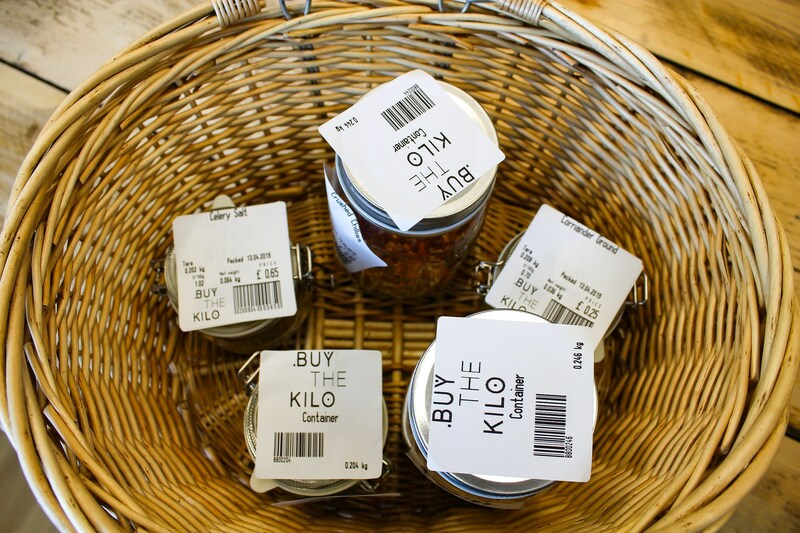 If you bring your own containers to the shop, all you have to do is weigh them at the scales and place the sticker on the lid or bottom of your jar. 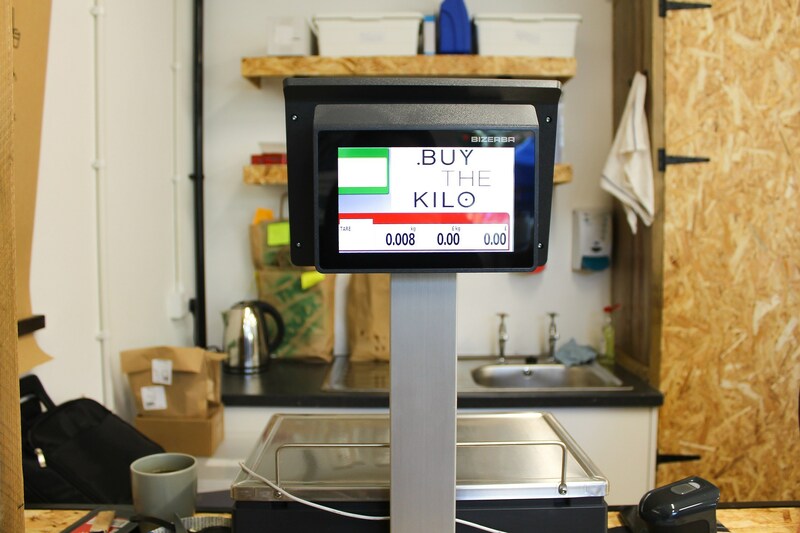 You can then fill them in with whatever products you want, before returning to the scale one last time to re-scan your jar so the scale adds the price total for you. I didn't know where to start, but as soon as I saw the crushed chillies, I knew it was a good place to start. 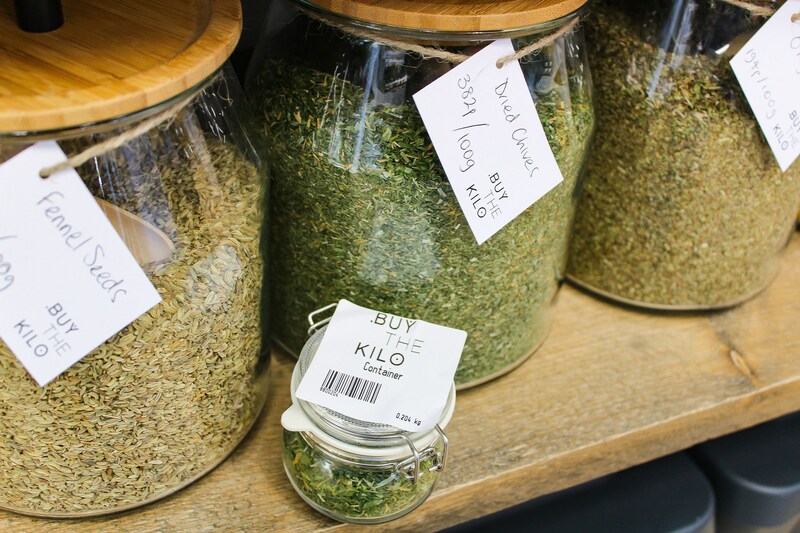 Who doesn't love a little bit of spice in their life? 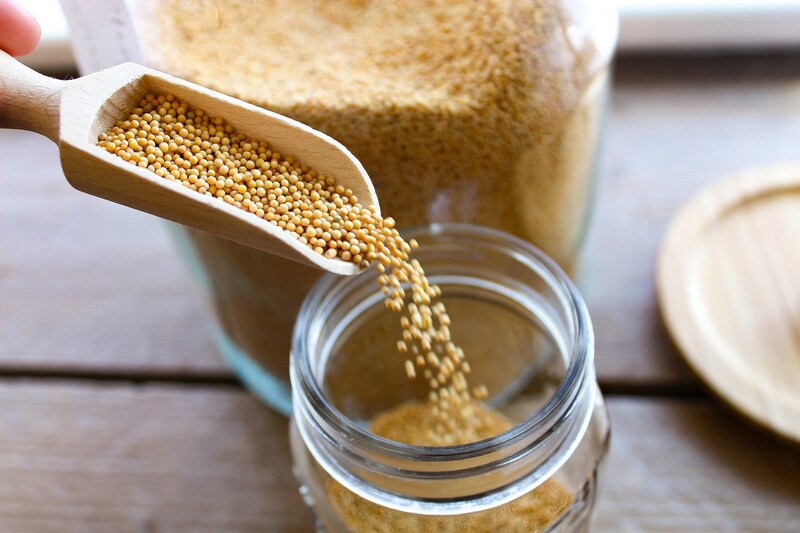 Once my jar of chillies was full, I moved on to something even more exciting: yellow mustard seeds! Then, I went for some coriander seeds. 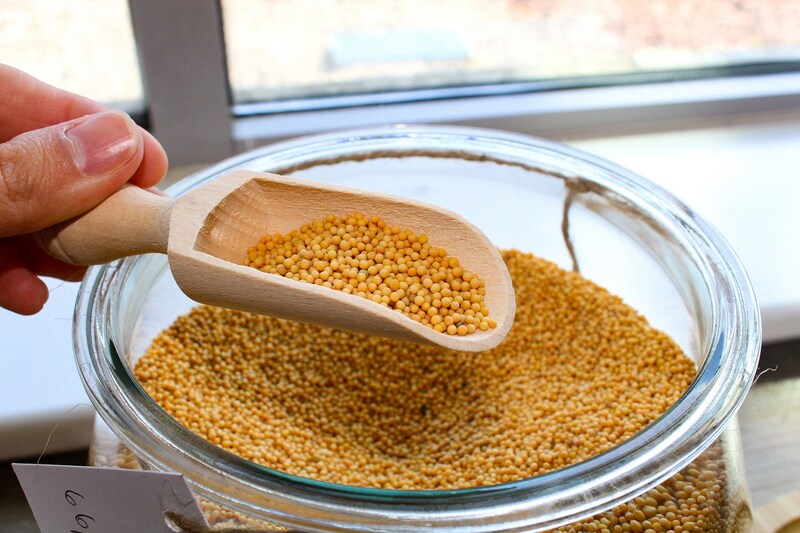 I loved the tiny scoops that were in each container for you to use and transfer the product onto your own jars. Soon after, the thoughtful owner, Jackie, came up to me with a little basket for me to carry my containers, since it was getting difficult browsing around with my hands full. As soon as I opened the celery salt to see what it smelled like, I went into crazy-mode and filled a whole small container with it. I could not believe how incredible the smell was. 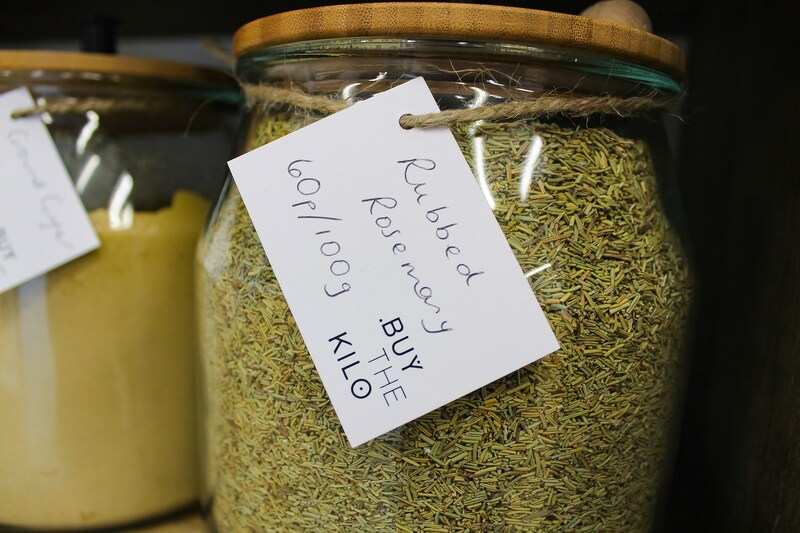 My last purchase was the dried chives. Once again, the minute I opened that container and the strong beautiful smell of chives travelled through my nose, I knew I needed some of that too. 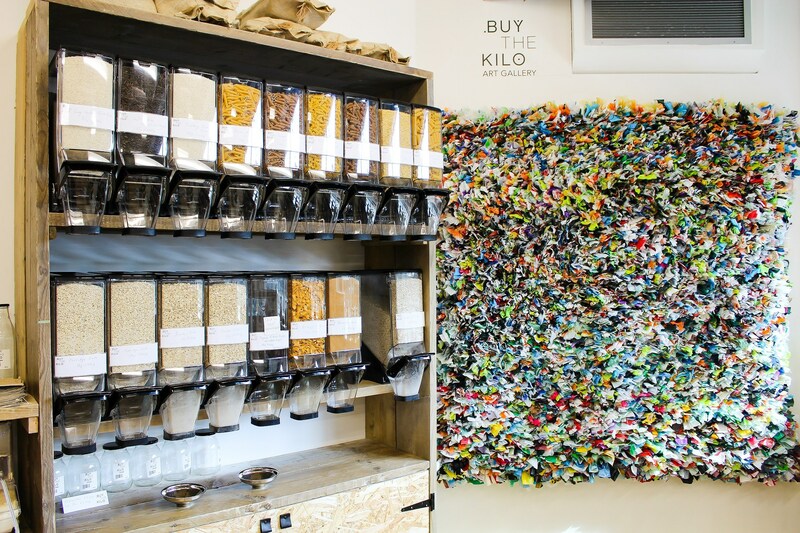 The shop's art gallery sends an important message about the negative impact that plastic has in our world, and how it is important to eradicate it, finding alternative solutions to plastic pollution. In the words of Jackie, the on-site gallery is supposed to create a conversation, on top of selling the packaging-free food. 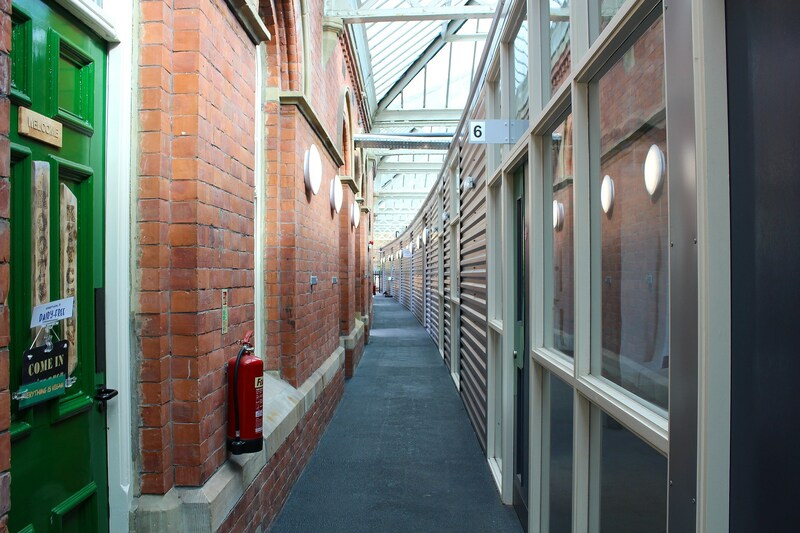 And once you see it up-close, you understand how the whole concept of the shop just comes together full-circle. At this point I was panicking, because although everything is perfectly labelled and with the prices on, I feared the worst. It's hard to know how much you're actually putting into the containers, so the moment I got to the till, I feared the worst. I genuinely thought I was going to spend at least £15 on such little amounts of product, because somehow that's the idea I had of these shops whose concepts are based on 'weight'. However, the minute I got to the tills and the bill came up to only £3.04 I was shocked! So much cheaper than I thought! Needless to say, I will definitely be returning to this shop for more products. If you ever visit this shop, please remember to take your own glass containers. Although they sell them if you forget, and they also provide brown paper bags, it is definitely cheaper to bring your own. 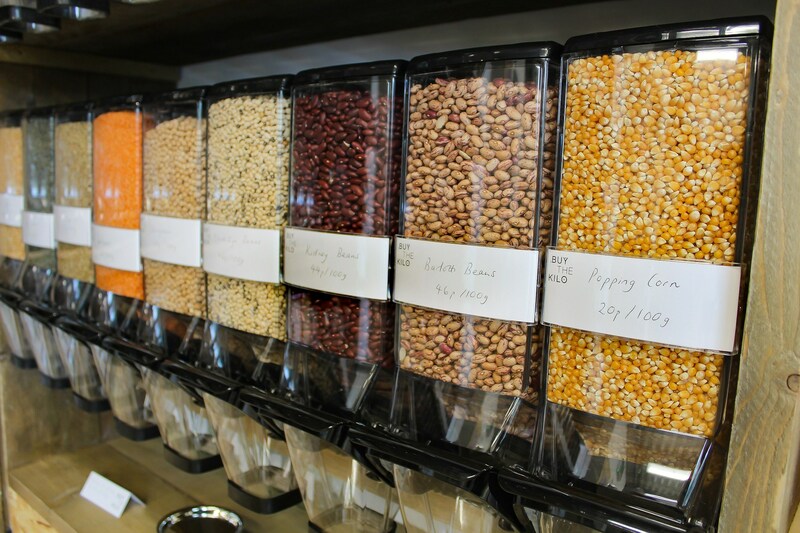 I thoroughly enjoyed this experience, and I wish more supermarkets chains and brands would adopt the same principles of zero-waste and plastic-free philosophy. 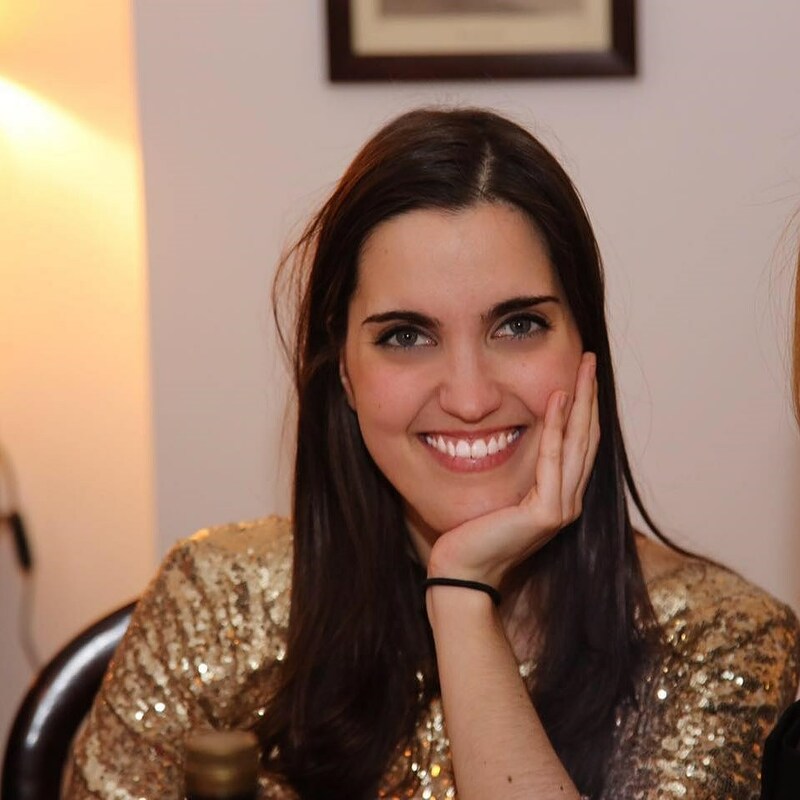 I'd like to thank Jackie and Katherine for their time and willingness to talk me through what they are hoping to achieve with this incredible project. I will certainly be back for more purchases.